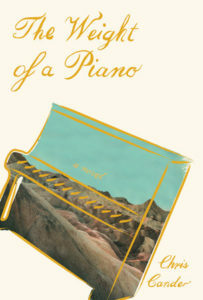 Houston author Chris Cander’s latest novel The Weight of a Piano comes out on January 22nd, published by Knopf, one of the most prestigious publishers of literary fiction. Knopf is the publisher of Esi Edugyan’s Washington Black, Tommy Orange’s There There, Valeria Luiselli’s upcoming Lost Children Archive, and many other fiction giants. To say Chris is in good company is an understatement! There is something so special about seeing one of our own fellow Houstonians receive such national acclaim. We couldn’t be more excited for Chris and her new novel. An active Houstonian, Chris graduated from the Honors College at the University of Houston. She is a writer-in-residence for Writers in the Schools, and lucky for us, she serves on the Inprint Advisory Board, as well as stewarding several Little Free Libraries in our community. Chris’ first novel, 11 Stories, won the Independent Publisher Gold Medal for Popular Fiction, and her most recent, Whisper Hollow, was long-listed for the Great Santini Fiction Prize by the Southern Independent Booksellers Alliance. 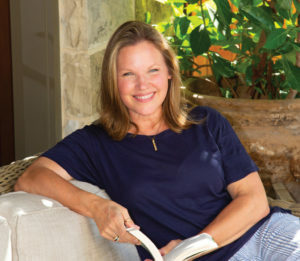 She is also the author of The Word Burglar, which won the 2014 Moonbeam Children’s Book Award (silver). On Tuesday, January 22, 7 pm, at Christ Church Cathedral with Brazos Bookstore, she begins the U.S. book tour for The Weight of a Piano, free and open to the public. We caught up with Chris last week to talk about her launch event and the novel. Inprint: Congratulations Chris! How does it feel to be finished with the novel and ready to share it with the world? Chris Cander: I’m utterly thrilled. For so long—years!—these characters have lived with me in my imagination, and I can’t wait to introduce them to new friends. Inprint: Can you tell us a little bit about the The Weight of a Piano and what inspired it? Chris: It’s the story of two women, one a pianist in Soviet Russia and the other a modern-day auto mechanic in California, and their relationship to the same upright Blüthner piano. For the former, the piano is her prized possession, and the latter, a symbol of her lost childhood and an albatross. Not long after I lost both my grandmothers, I overheard a woman talking about finally letting go of a piano her father had given her when she was a child. She’d been taking lessons for a few months when he suddenly died, and afterward, it became a symbol of her grief—and also of him. She didn’t play it, but also couldn’t get rid of it. It struck me how heavy certain possessions with provenance can be, and I knew then that I wanted to unpack that idea in a novel. It struck me how heavy certain possessions with provenance can be, and I knew then that I wanted to unpack that idea in a novel. Inprint: Yes, the novel’s main characters are these two fascinating women, a concert pianist and a mechanic. Do you play the piano? Do you have training as a mechanic? How did you do your research for this novel? Chris: I’m neither a musician nor a mechanic. Because my musical talent ends at my ability to appreciate it, I relied heavily on the love others have for the piano and for classical music. I spoke with professional musicians, piano tuners, composers, and movers to learn the myriad aspects of piano playing and ownership. My stepfather built from scrap the first car I ever drove, and he (though he doesn’t know this) was the inspiration for Clara’s uncle Jack. But for the detailed information about her profession, I interviewed the auto mechanics and friends who’ve worked on my car for years. For this and all my novels, I draw on the passions others have for their professions—mechanics and photographers, plumbers and nuns, coal miners and musicians—to inform my work. I’ve been fortunate to connect with so many generous people throughout my writing career. Inprint: On Tuesday, January 22, your book tour kicks off here in Houston. Can you tell us a little bit about the launch event and how it will be different from a traditional book reading? Chris: Because music is so integral to this novel, and because it spans cultural and geographic divides, it felt like a multi-media experience as I was writing it. I wanted to introduce the novel to readers that way, to perform it rather than simply read from it. To do so, I wrote a brief stage play based on three key scenes from the novel and engaged an incredibly talented artistic team to bring it to life for a special, one-time event. Whether one’s interest is music, photography, the stage, the craft of writing, or a combination, I wanted this evening to celebrate the ways art and music—as they do in The Weight of a Piano—impact our lives. Because music is so integral to this novel, and because it spans cultural and geographic divides, it felt like a multi-media experience as I was writing it. For more information on the reading click here. Feb 3: Politics & Prose, Washington, D.C. Finally, check AnOpenBookBlog.org again soon, Chris will be sharing stories from her book tour stops in a series “Dispatches from Book Tour.” We can’t wait to hear about her adventures!